Lee el artículo en español aquí. Anyway, I want to highlight something about that article. 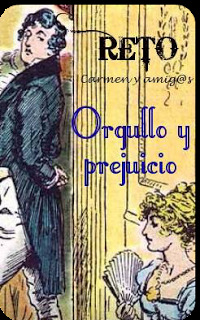 Maybe, Pride and Prejudice was not the first novel by Jane Austen published in Spanish, it was Persuasion, but it was the first Spanish adaptation we could see in our televisions. 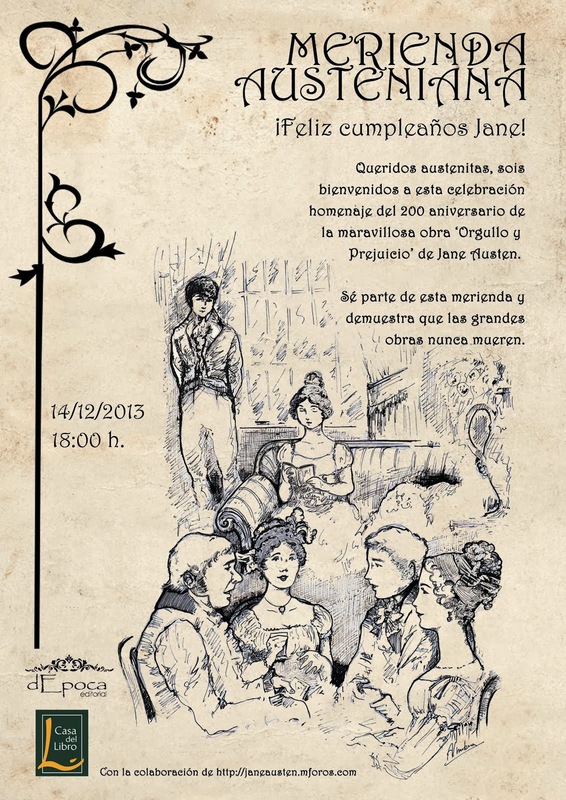 This happened in the early times of our broadcasting television (TVE), when every night a classic novel was adapted. So Pride and Prejudice started to be shown on 25th April till 6th May of 1966. 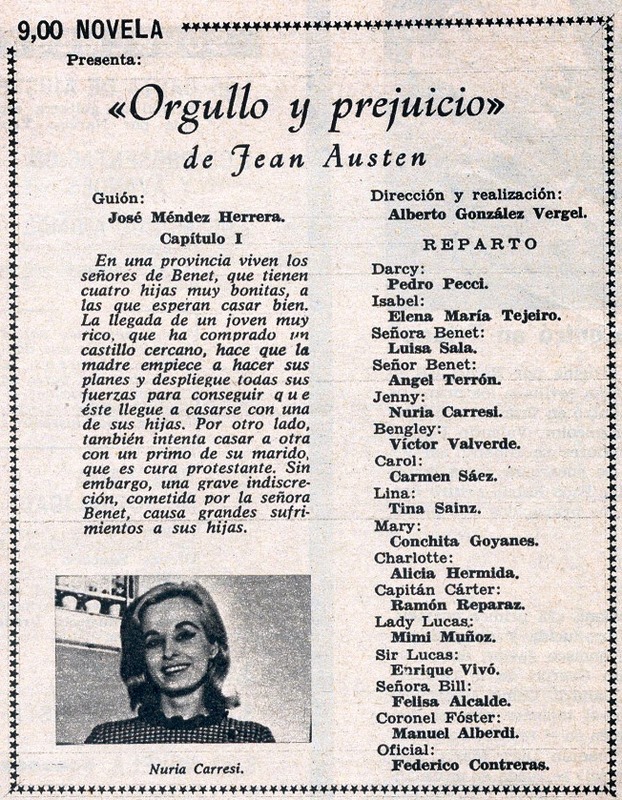 The plot, an adaptation by José Méndez Herrera, winner of a National Translation Prize in 1962 for translating the works of Shakespeare (ACETT), was kept close the novel. 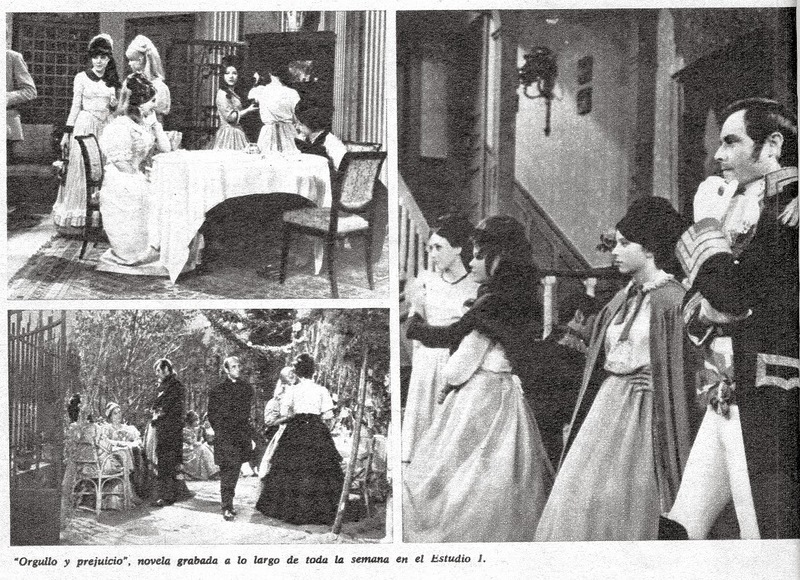 It was directed by Alberto González Vergel. What was changed were the names of the girls: Jane became Jenny, Lydia was Lina, and Caroline became Carol. 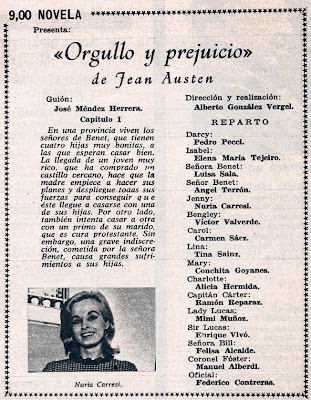 The names were changed so the audience could understand British names and because fashionable in 1960s Spain. On the other hand, the adaptation's style of clothing and scenery was closer to 1840s. And you'll wonder what happened to this adaptation? As with other old, black and white series from other places all over the world, the tapes which were uses, were unfortunately, re-used...so they are lost forever. 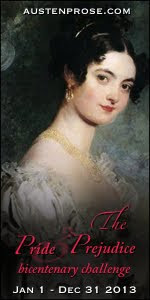 That is all we know about this adapation, but we still have hope about the other Austen adaptations made by TVE (Emma, Persuasion or the first Northanger Abbey, from 1968) will be put into the digital era and can be shared to all the audience. If you want to know more about this adaptation or other versions, see the link I left above. Finally, some pics of this version.